Objective: To compare the benefits and side effects of Tripterygium wilfordii extract with those of sulfasalazine for the treatment of active rheumatoid arthritis. Design: Randomized, controlled trial. A computer-generated code with random, permuted blocks was used to assign treatment. Setting: 2 U.S. academic centers (National Institutes of Health, Bethesda, Maryland, and University of Texas, Dallas, Texas) and 9 rheumatology subspecialty clinics (in Dallas and Austin, Texas; Tampa and Fort Lauderdale, Florida; Arlington, Virginia; Duncanville, Pennsylvania; Wheaton and Greenbelt, Maryland; and Lansing, Michigan). Patients: 121 patients with active rheumatoid arthritis and 6 or more painful and swollen joints. Intervention: Thunder God Vine Root Extract extract, 60 mg 3 times daily, or sulfasalazine, 1 g twice daily. Patients could continue stable doses of oral prednisone or nonsteroidal anti-inflammatory drugs but had to stop taking disease-modifying antirheumatic drugs at least 28 days before randomization. Measurements: The primary outcome was the rate of achievement of 20% improvement in the American College of Rheumatology criteria (ACR 20) at 24 weeks. Secondary end points were safety; radiographic scores of joint damage; and serum levels of interleukin-6, cholesterol, cortisol, and adrenocorticotropic hormone. A new study shows that the Chinese herbal remedy Tripterygium wilfordii Hook F (TwHF), also known as “lei gong teng” or “thunder god vine,” helped decrease joint tenderness and pain in a small group of people treated with the medicinal plant. 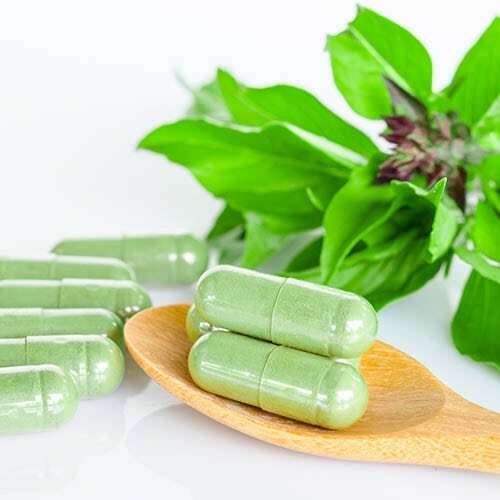 Those who took an extract of the herb’s roots experienced greater improvement in rheumatoid arthritis symptoms than those who took the anti-inflammatory drug sulfasalazine. Rheumatoid arthritis is a chronic inflammatory disease that causes severe pain and inflammation of the joints. RA can also lead to joint damage and eventual destruction of the joint, causing chronic pain and mobility issues for the sufferer for life. At this time, there is no cure for the disease, and currently available prescriptions are taken to ease the symptoms and permanent disability caused by the disease. Although many of “big pharma’s” recent “advancements” in the treatment of RA have led to a growing number of prescription therapies, many of those “remedies” come with horrible side effects that cause some patients to quit treatment or seek complementary or alternative treatments. It is coming into the light more and more often now, as well, that the big drug companies may not have a vested interest in :cures” for diseases – because if an individual is cured, they will no longer be purchasing products from the manufacturer. That being said, it may benefit these incredibly profitable companies more to treat symptoms rather than find cures for many of today’s chronic diseases, including Rheumatoid Arthritis, cancer, Lupus and others. Thunder god vine root has been used in China for centuries to treat a variety of inflammatory ailments, and many clinical trials show that the Chinese herbal remedy may help individuals with RA, Lupus and other inflammatory diseases. This study, published in the Annals of Internal Medicine, compared the positive effects and side effects of treatment with the root extract and a conventional anti-inflammatory drug used in rheumatoid arthritis called sulfasalazine. Sulfasalazine is a drug in the class of sulfanomides, using sulfa as an active ingredient, which causes allergic reactions in as much as 3% of the American population. That number may seem small, but having an allergic reaction to a medication is no joke, it can be life threatening. Raphaela Goldbach-Mansky, MD and her colleagues randomly assigned 121 people with rheumatoid arthritis to take the 60 milligrams of the Chinese herbal extract three times a day or 1 gram of the anti-inflammatory drug sulfasalazine twice a day for 24 weeks. In addition, the “standard measure” that they used to estimate the improvement of symptoms was not disclosed. But natural remedy showed a greater improvement in symptoms over the standard chemical remedy. Many traditional doctors today will not consider prescribing a natural remedy, either because of lack of information, study and education in the realm of herbal remedies, or simply because of the kickbacks doctors get to prescribe chemical therapy from the pharmaceutical companies. If you would like more information on that, please see this article from CBS on how you can find out more about your own doctor and what kickbacks he may be taking from drug companies. Disclaimer: I am not a doctor, nor do I play one on TV. Read the medical disclaimer here.